WIP is a new works-in-progress performance series curated by Barbara Diewald, Leah Fournier, Madison Palffy and Jennifer Polins, out of a shared priority to open dialogue between local and visiting artists, and to share dance works in the early stages of the creative process. Outside of the vibrant Five College Dance Department, there is little local support for choreographic inquiry, and this program supports the development of a vital performance art community for the valley and beyond. WIP was established in partnership with the School for Contemporary Dance and Thought, centrally located in the heart of downtown Northampton, and the School will host the first iteration of the WIP series in Fall 2016. The informal Sunday afternoon series provides a low-tech forum for movement-based work by emerging and mid-career choreographers. WIP choreographers were selected by a rotating committee of peer artists and the 2016 roster includes award winning dance makers from New York, Rhode Island, Maine, Pennsylvania & the Pioneer Valley. WIP pulls back the curtain on the choreographic process for the audience, sharing an embodied response to our increasingly chaotic, digital and sedentary world. WIP unites local and visiting artists, providing a forum to investigate ideas without the pressures or financial strains of production. Sharing developing work shifts emphasis to the creative act before the final product. The program is an incubator- a safe space where people come to work and share feedback with one another. WIP's vitality lies in its efforts to create an ethos of generosity, vulnerability and unknowing. Shaina Cantino holds an MFA in dance from Smith College, and is a graduate of the National Theatre Institute and Kenyon College (BA, Distinction in Dance). Her creative and teaching work is grounded in twenty years of contemporary dance training as well as research in improvisation for performance, contact improvisation (CI), and theater. Cantino has taught courses in Contemporary Technique and CI at Wesleyan University and continues to teach at Keene State College as well as at School for Contemporary Dance and Thought in Northampton, MA this fall. Cantino most recently presented a revision of her thesis piece, now titled "Again off course," at the Smith College Faculty Concert in November of 2015. Cantino's choreography was selected for the American College Dance Festival Association's gala concert in 2014 and presented at the Kennedy Center in 2010. Cantino has collaborated with and performed in works by Angie Hauser, Paul Matteson, Chris Aiken, Kathleen Hermesdorf, Colleen Thomas, Karl Rogers, Alexandra Beller, Joy Davis and Kate Seethaler. Intensive training includes Bebe Miller Company Summer Intensive, St. Petersburg State Theater Academy (2009), Kathleen Hermsdorf/Sara Shelton Mann/Keith Hennessy intensive (2009), American Conservatory Theater (2008), and Bates Dance Festival (2007). Since 2013, Cookie Harrist and Delaney McDonaugh have created a plethora of post-modern and improvisational dance works at home in rural Denmark, Maine. Their work has been presented at 3S Artspace (NH), AUNTS (NY), SALTA at FRESH Festival (CA), Green Street Studios (MA), Colby College (ME), Bates College (ME), Marlboro College (VT), Flywheel Collective Arts (MA), PortFringe (ME), and many more. The dancers have also been featured in work by Annie Kloppenberg, Heidi Henderson, Hana van der Kolk, Asher Woodworth, and more. Cookie and Delaney are widely acclaimed for reinvigorating contemporary dance in Maine, through their work at Moving Target Portland, Bates Dance Festival and the Denmark Arts Center. Their work has been supported by the Maine Arts Commission, Maine Humanities Council, Partners for Island Education, Maine Community Foundation, and more. Learn more at www.hioridgedance.com. Originally from Lewiston, Maine, Leah Fournier graduated from Indiana University in 2015 with a B.S. in contemporary dance. She is a member of Elizabeth Shea Dance and has also performed in works by Selene Carter, Larry Keigwin, Laurie Eisenhower, Stephen Koplowitz, and Autumn Eckman. In 2015, as part of a residency with Marianne Goldberg, she and 10 other artists collaborated to create a site specific performance along the Martha’s Vineyard coastline and at The Yard. Her work has been presented in Detroit and Philadelphia. Leah also has a 500 hour certification in massage therapy from the Costa Rica School of Integrative Massage. She currently lives in Easthampton, Massachusetts. Ellen Oliver is a choreographer, performer, and teacher currently based in Providence, Rhode Island. She is most recently involved in a project by Ali Kenner Brodsky and was a 2016 Young Artist in Residence at Bearnstow, Maine. She has collaborated at the Red Poppy Art House in San Francisco and Pathways Projects in Martha’s Vineyard. Her thesis short film was screened at international film festivals in Canada, Israel, and India. She studied dance at Hampshire College and UNC School of the Arts. Ellen enjoys hiking and collaging in her free time, and she is interested in exploring color and layering in her work. Madison Palffy is a dancer, performer, performance-maker, and visual artist originally from Chicago. Her work is a continual investigation of magic, the senses, mystery, wilderness, and failure. She holds a Bachelor of Arts from Hampshire College where she studied dance, performance, and queer theory. She has had the pleasure of performing in works by Kathleen Hermesdorf, Paul Matteson, Angie Hauser, Chris Aiken, Katie Martin, and Cathy Nicoli and has performed at venues such as the Museum of Contemporary Art Chicago, Dixon Place, and the Southern Vermont Dance Festival. Madison is a founding member of Loculus, a dance and performance collective based in Northampton, MA that creates performances in non-traditional spaces and produces a quarterly journal. 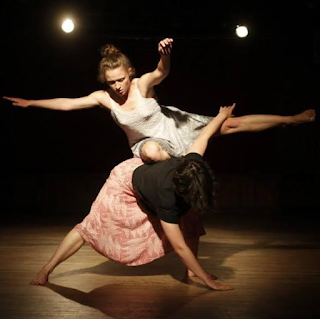 Kate Seethaler recently received an MFA in Dance from Smith College. She earned a BA in Dance, with minors in theater and philosophy, from Springfield College in 2008. Kate has most recently collaborated with and performed in dance works by Stephanie Turner, Jenn Nugent, Katie Martin, Stephanie Maher, Joy Davis and Emily Lukasewski. She has participated in training workshops led by Kirstie Simson and David Dorfman, in addition to Bates Dance Festival (2009) and MELT at Movement Research (2011). In 2015, Kate attended Bates Dance Festival as a collaborator and performer in work by Kellie Ann Lynch, one of the festival's Emerging Choreographers. Kate's choreographic work has been performed at Elm City Dance Festival, the International Festival of Arts and Ideas, Smith College, Springfield College, The Taft School and The Ethel Walker School amongst others. She currently resides in Northampton, MA and teaches at Springfield College. Katie Swords is a New York state based dance artist. She co-founded and performed with the VIA Dance Collaborative. Katie has worked with choreographers Daniel Charon, Satoshi Haga, Elizabeth Sargent, Helen Simoneau, Adrienne Westwood, and Jesse Zaritt. Her choreography has been shown in the USA, Mexico, Ireland, Austria, Luxembourg, Belgium, France, and Israel. Swords received her B.F.A. degree from the University of North Carolina School of the Arts, and her M.F.A. from Hollins University/The American Dance Festival under the tutelage of Donna Faye Burchfield. She currently teaches at The University of the Arts (Philadelphia) as an Assistant Professor. A recent graduate of Smith College, Molly Rose Tupper is a dance artist residing in Northampton. Molly has had the pleasure of working with choreographers including Barbie Diewald, Jennifer Nugent and Candice Salyers. She is currently collaborating with Sophia Arnall and Rowan Salem, and is an intern at the School for Contemporary Dance and Thought. Her choreographic work has been presented at Smith College and the Salem Arts Festival. Lailye Weidman is a choreographer, dancer, and writer currently based in Massachusetts and New York. Her recent projects include Social Animal Please Tame Me (2016), an ensemble dance theater work for the stage investigating consent and consensus; birthing room (2015), a storytelling solo tracing sounds and textures of place and displacement; Dike Dance (2014), a site-specific performance and community dialogue in collaboration with scientists from the National Seashore; and co-producing Place [Maker] Space (2013), an interdisciplinary convergence for artists who work with notions of place. As a member of the Movement Party, she collaboratively produces Fleet Moves, an annual site-based dance festival on Cape Cod. She was a 2012 iLAB artist-in-residence with the Interdisciplinary Laboratory for Art, Nature, and Dance (iLAND) investigating the physicality of arial-mapping and dancing with urban wind-patterns. Lailye received a BA in dance from UCLA and an MFA in dance from the University of Illinois, Urbana Champaign. Her work has been shown at the Domestic Performance Agency, Movement Research, and the New School in New York City, Anatomy Riot and Pieter PASD in Los Angeles, and the Krannert Center for the Performing Arts in Champaign, IL. She teaches improvisation and dance studies in academic and community settings and is an assistant editor for Contact Quarterly. Jesse Zaritt is a Brooklyn, NY based dance artist. He has performed his solo work in Uruguay, Russia, Korea, Germany, Japan, Mexico, Israel and throughout the United States. His solo “Binding” is the recipient of three 2010 New York Innovative Theater Awards: Outstanding Choreography, Outstanding Solo Performance, and Outstanding Performance Art Production. Jesse regularly teaches at universities and festivals across the United States and abroad. 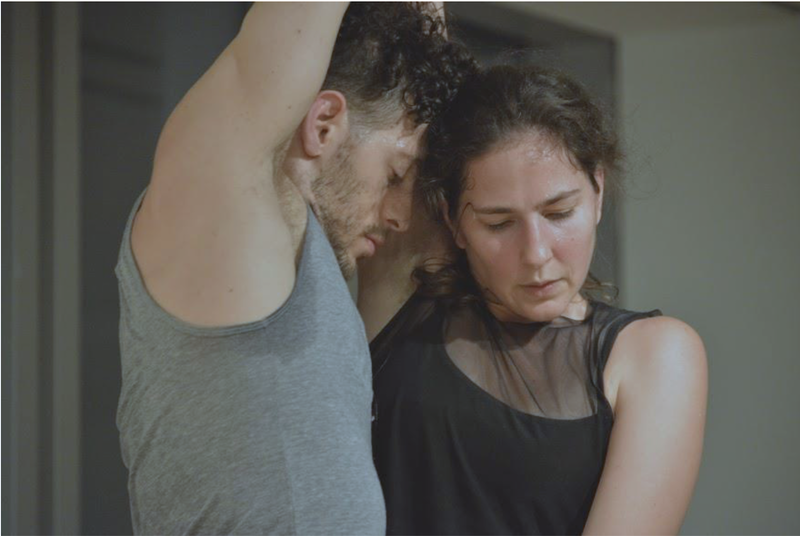 Jesse was a member of Shen Wei Dance Arts (2001- 2006) and the Inbal Pinto Dance Company (2008) and currently works with Faye Driscoll, Jumatatu Poe, Katie Swords and Netta Yerushalmy.